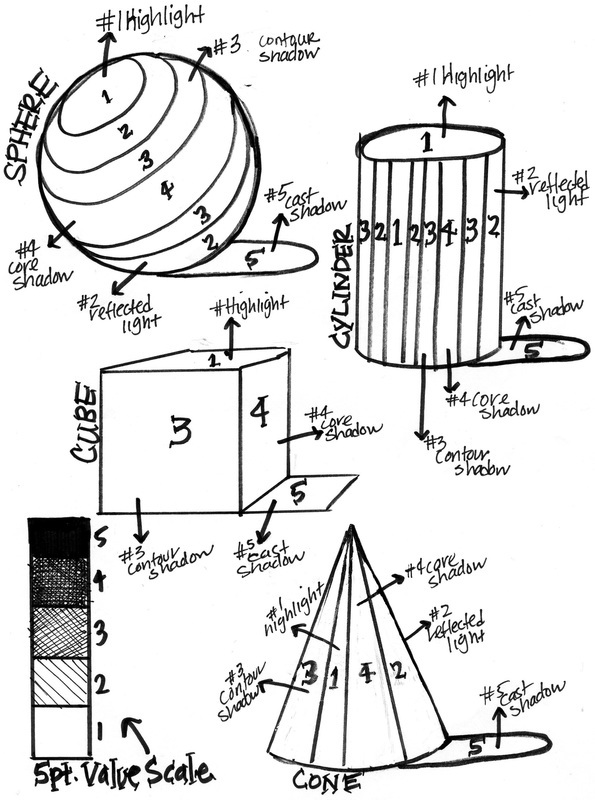 Students will shade different forms with the blending technique. STEP #1 Study the highlights and shadows below. Study the powerpoint below. STEP #2 Follow the steps with Mrs. Zotos. Watch video below. Use plastic salsa cups to trace circle not the compass. **NOTE** Please make sure your light source is coming in from the left. Video shows light source from the right. 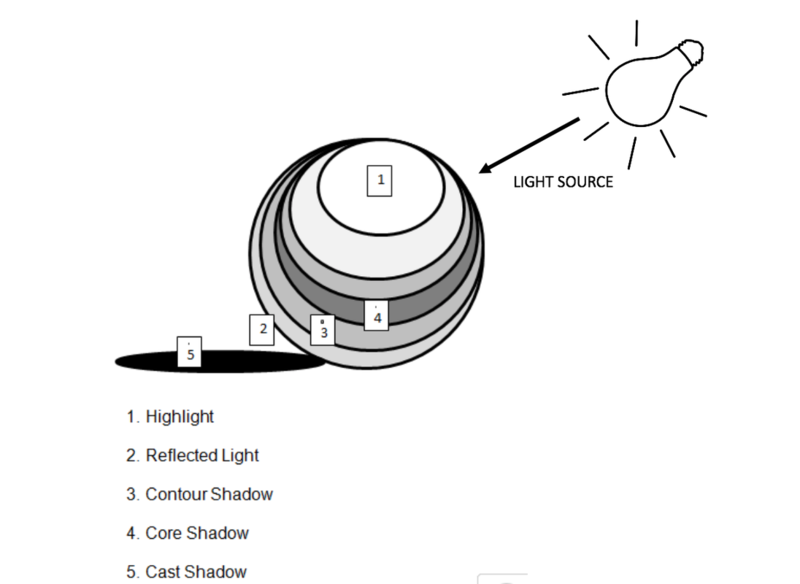 You need to put your light source on the left to follow the guide below to plug in values.